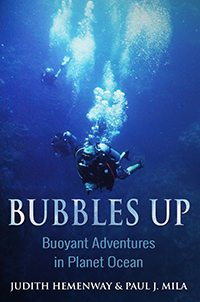 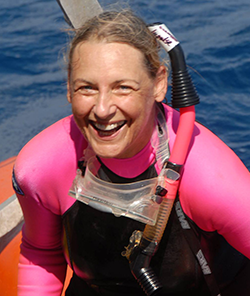 BUBBLES UP: Join divers Judy Hemenway and Paul Mila in the South Pacific and meet 30-ton whales eye to eye; dive into the Caribbean surrounded by hungry sharks, and turn back time as you explore a World War II Pacific wreck. 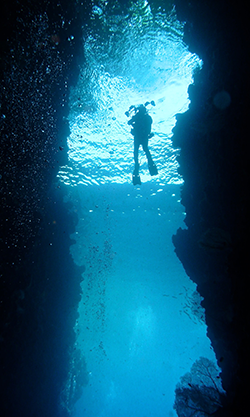 Feel the thrill of an eagle ray flyby in Cozumel, Mexico, and experience the rush of a barracuda feeding frenzy. 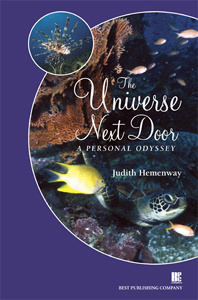 Whether you are a diver, snorkeler, or an ocean lover you will enjoy immersing yourself in these fascinating stories.